Arizona State Elections Director Eric Spencer, middle, helps Arizona Healthy Working Families Initiative group members deliver more than 270,000 signatures to the elections office at the Arizona Capitol, Thursday, July 7, 2016, in Phoenix, in hopes of qualifying a measure for the November ballot to raise the state's minimum wage to $12 an hour by 2020 and provide earned sick days to workers. 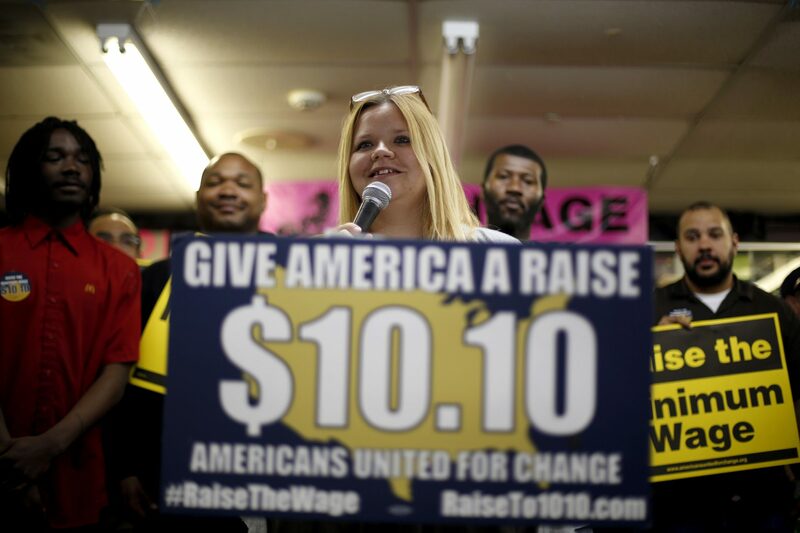 In this photo made Friday, April 25, 2014, Amy Jennewein speaks during a rally in support of raising the minimum wage University City, Mo. 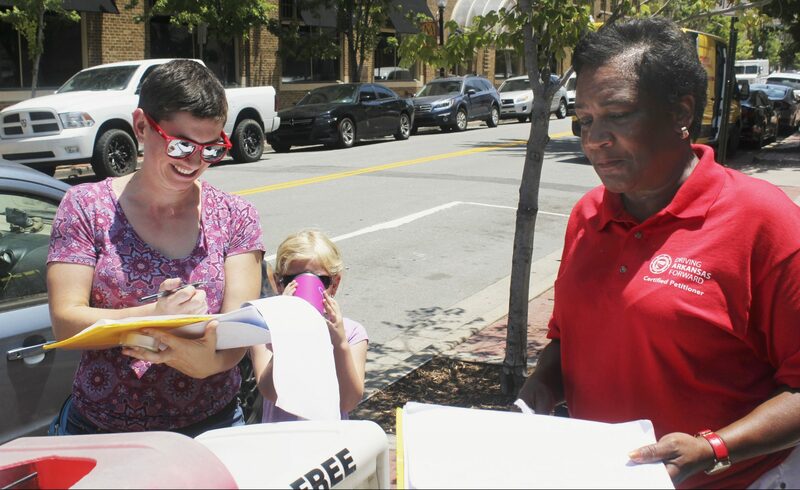 In this Thursday, June 28, 2018, photo, Rachelle Tracy signs a petition in downtown Little Rock, Ark., from canvasser Cynthia Ford in favor of putting a minimum wage hike proposal on the November ballot. 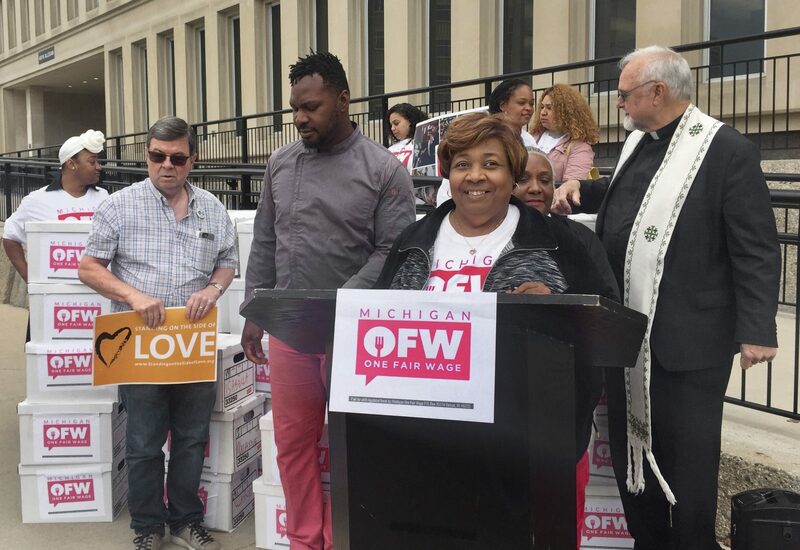 Alicia Renee Farris, front right, campaign chair of the Michigan One Fair Wage group, speaks Monday, May 21, 2018, in support of raising Michigan’s minimum wage to $12 an hour in front of the Secretary of State building in Lansing, Mich. 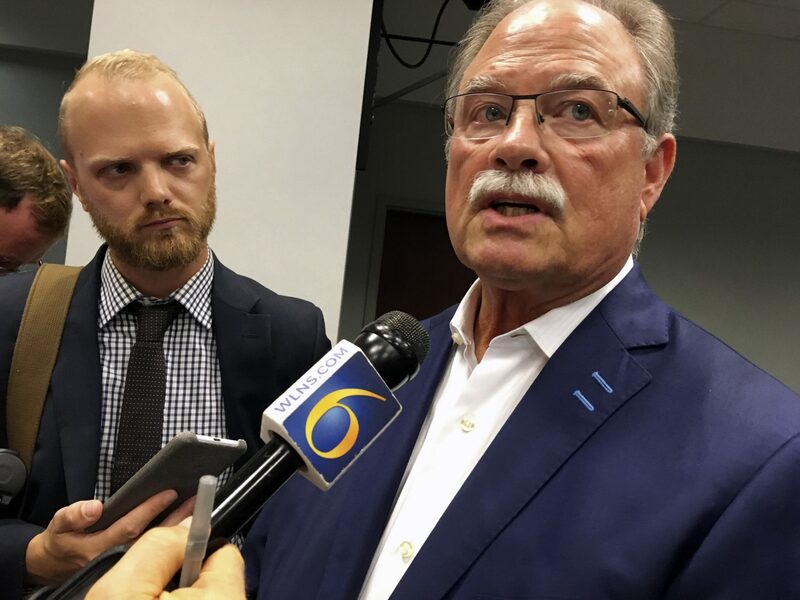 In this Aug. 30, 2018, photo, Michigan Chamber of Commerce Rich Studley speaks to reporters about his concerns with minimum wage and earned sick leave ballot initiatives after an unrelated event at the governor’s office in Lansing, Mich. 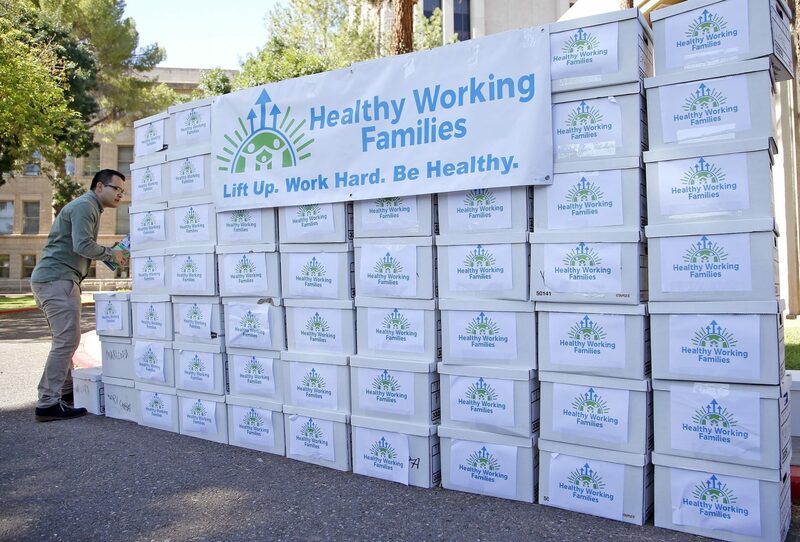 Boxes containing more than 270,000 signatures gathered by the Arizona Healthy Working Families Initiative group sit on display prior to a news conference at the Arizona Capitol, Thursday, July 7, 2016, in Phoenix.